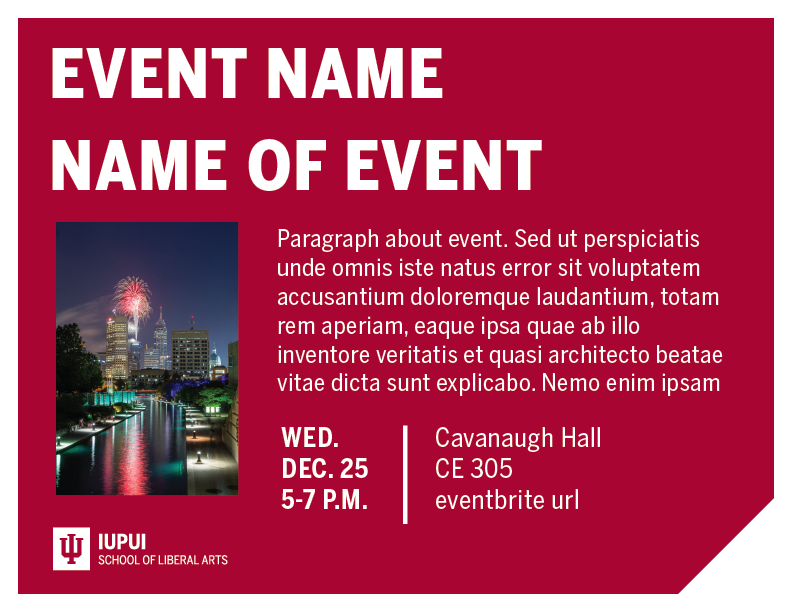 Flyers distributed within the IU School of Liberal Arts and throughout campus should maintain IU’s brand guidelines with proper IU School of Liberal Arts marketing lockups. 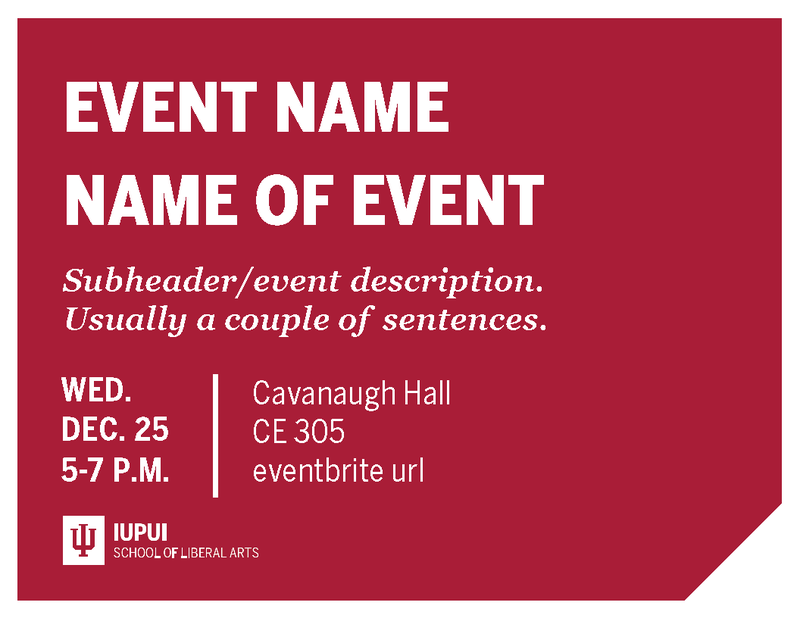 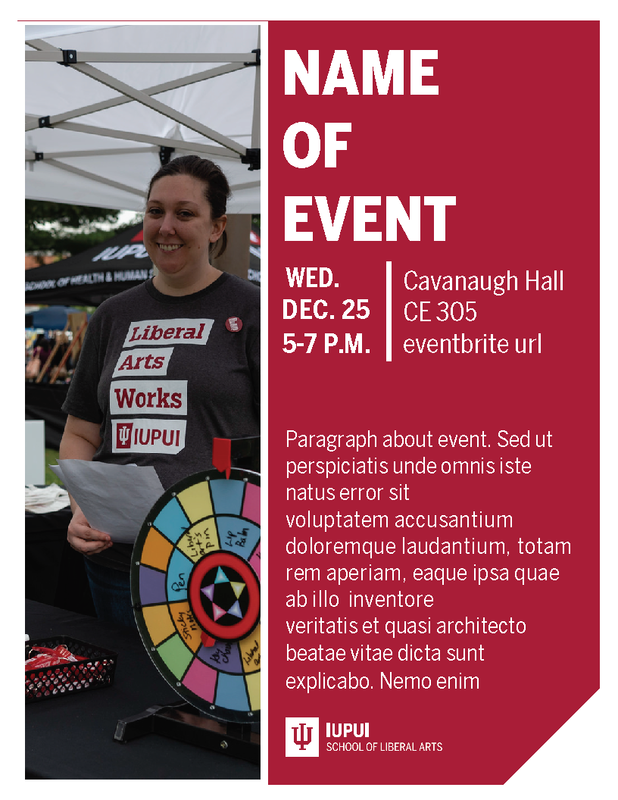 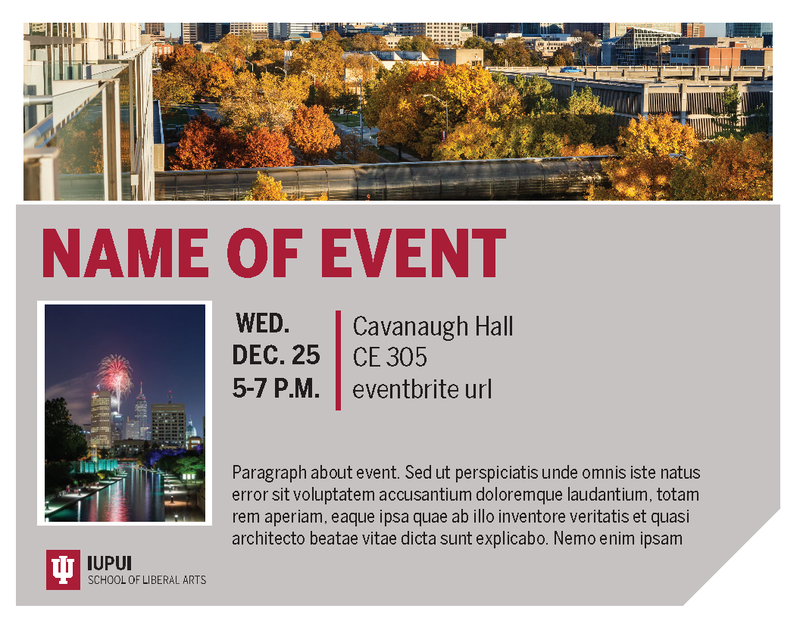 Flyers, like any other communication medium, provide opportunities to promote sponsored School events, student groups, as well as selected IUPUI campus announcements. 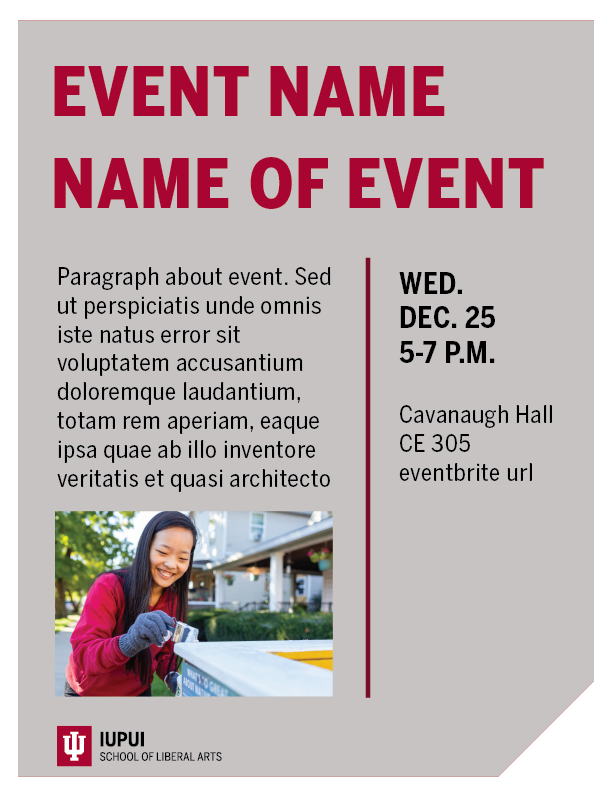 We encourage all departments and units to consider using the following templates to create your own flyers. 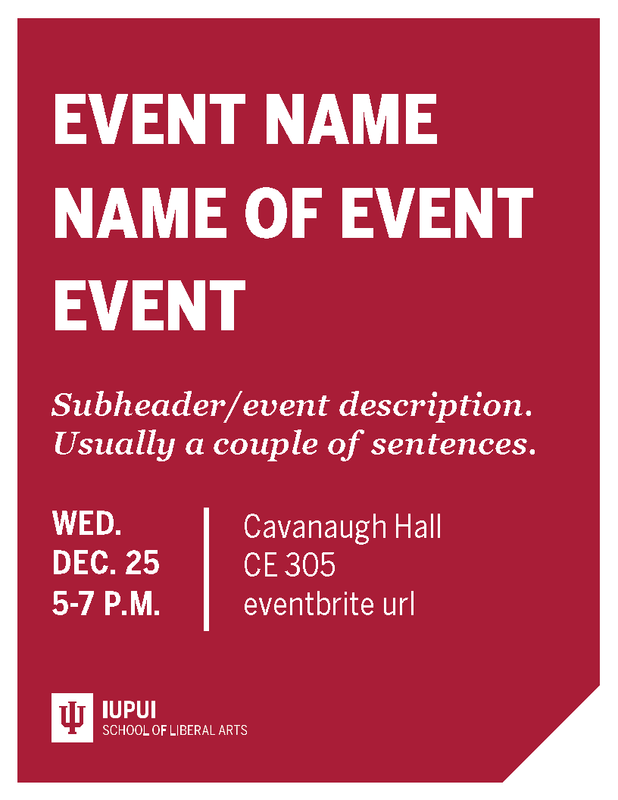 To download your marketing lockup, please visit IU School of Liberal Arts Branding.